Lord its been a long week and I couldn't be happier that its Friday except I also have a busy weekend planned. I managed to blog everyday this week. Yay me!!! I got to spend my Thursday evening with these pretty girls. 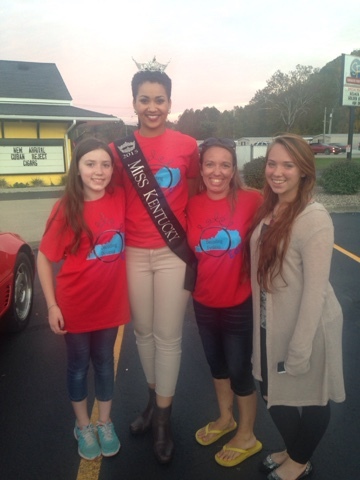 You may have noticed my instagram last night was full of pics of Miss Kentucky. Her platform is Dyslexia, because she also has Dyslexia. Emmy got to meet her and hold the crown. Yeah now she wants to be Miss Kentucky too. Then that afternoon They road through the MSU parade together with the Decoding Dyslexia group. 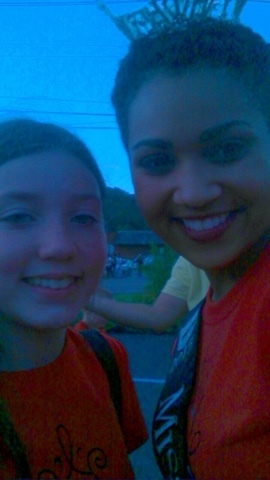 Then Emmy took Selfies with her. I'm running my first 5K on Sunday the Dyslexia Dash. 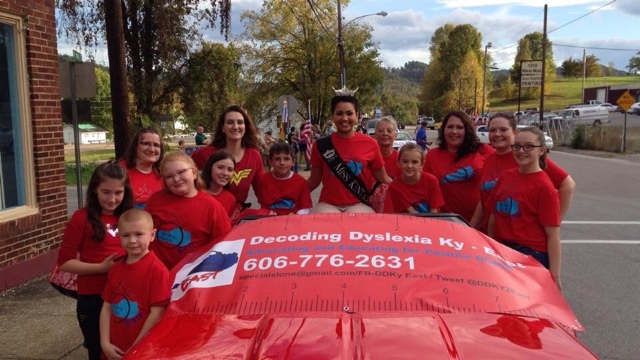 Miss Kentucky is on our Decoding Dyslexia team. You guys she is so sweet. Plus, I'm glad to be crossing that off the 101 list. Watched Grandfathered this week. I think its going to be good. I am not totally into it yet. I have been putting baby gates up to keep the dogs out of the living room while I'm at work. Somehow they have figured out how to get over the gates. Every evening I have come home to them sitting on the couch with their tongues hanging out. Dyslexia Awareness Month Begins Today! !